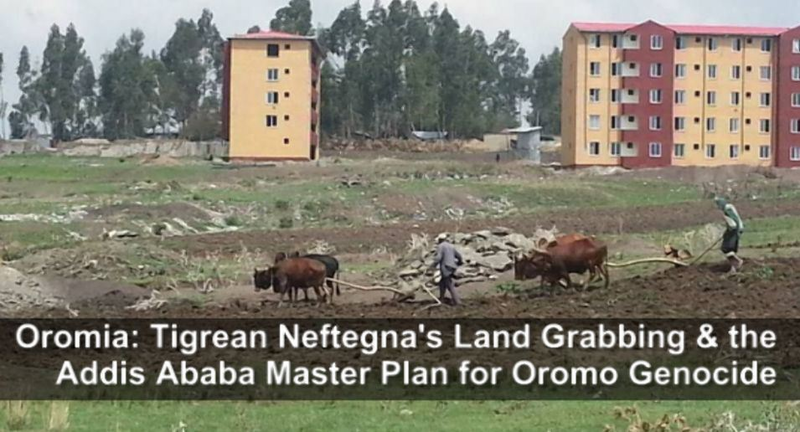 Posted by OromianEconomist in Ethiopia's Colonizing Structure and the Development Problems of People of Oromia, Land and Water Grabs in Oromia, Land Grabs in Africa, Land Grabs in Oromia, No to land grabs in Oromia, No to the Addis Ababa Master Plan, Omo. Ethiopia has long faced criticism for forcibly relocating tens of thousands of people from their ancestral homes. 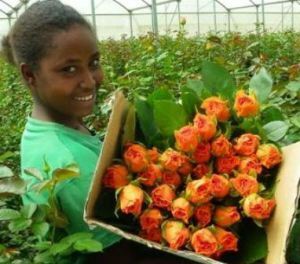 The human cost of Ethiopia’s “villagisation” programme is laid bare by damning first person testimony published on Tuesday. The east African country has long faced criticism for forcibly relocating tens of thousands of people from their ancestral homes to make way forlarge scale commercial agriculture, often benefiting foreign investors. Those moved to purpose-built communes are allegedlyno longer able to farm or access education, healthcare and other basic services. The victims of land grabbing and displacement are given a rare voice in We Say the Land is Not Yours: Breaking the Silence against Forced Displacement in Ethiopia, a report from the California-based thinktank the Oakland Institute. Some of the interviewees still live in Ethiopia, while others have sought political asylum abroad, and all remain anonymous for their own safety. “My village refused to move,” says one, from the community of Gambella. “So they forced us with gunshots. Even though they intimidated us, we did not move – this is our land, how do we move? They wanted our land because our land is the most fertile and has access to water. So the land was promised to a national investor. “Last year, we had to move. The promises of food and other social services made by the government have not been fulfilled. The government gets money from donors but it is not transferred to the communities.” The land grab is not only for agriculture, the interviewee claims, but the community has also seen minerals and gold being mined and exported. “We have no power to resist. We need support. In the villages, they promised us tractors to help us cultivate. If money is given to the government for this purpose, we don’t know how it is used. “The government receives money from donors, but they fill their pockets and farmers die of hunger. The Saudi Star rice paddy in Gambella. The government wants to voluntarily resettle 200,000 people in the region over the next three years. Another interviewee, from South Omo, says mandatory resettlement has stoked conflict among different ethnic groups. “There was no open consultation between the community and the government. If there was a common agreement based on joint consultations, perhaps the community might accept. But, the government dictates. “We are scared that the highlanders will come and destroy our way of life, culture, and pasture land. What will we do? The government says we can keep two to three cattle, but this is a challenge. Our life is based on cattle, and we cannot change overnight. I keep cows, oxen, sheep, goats – where do we go? “The investors take land in the Omo Valley. They clear all land, choose the best place where trees are, leaving the area open. They say it is for development, but they are clearing the forests. I wonder how to reconcile development with forest destruction.” Such accounts threaten to dent the image of Ethiopia, a darling of the development community that has enjoyed double digit economic growth for the best part of a decade. The government has been criticised for brooking little opposition, clamping down on civil society activism and jailing more journalists than any country in Africa, except its neighbour Eritrea. A government employee told the researchers: “I want the world to know that the government system at the federal level does not give attention to the local community. “There are three dynamics that linger in my mind that explain today’s Ethiopia: villagisation, violent conflict, and investment. They are intertwined and interrelated. It is hard for outsiders to know what leads to what. When people are free, they talk. When they are afraid of repercussion, they stop.” Critics have claimed that British aid to Ethiopia’s promotion of basic services programme were being used by the Ethiopian government to help fund the villagisation programme. But last month the Department for International Development announced that it was ending the contributions because of Ethiopia’s “growing success”. The mining of gold and silver will support our national economy A United Kingdom company, KEFI Minerals Ethiopia Limited, has discovered the largest gold and silver ore reserve, and took a license from the Ministry of Mines yesterday at the Ministry. Minister of Mines Tolosa Shagi said that the type of licensing given to the company is large-scale mining in western Welega Zone. After exploring for the last 8 to 9 years in the area and fulfilling the required regulations, the Ministry has provided them with license to carry out mining in Ethiopia. http://www.directorstalk.com/ethiopia-uk-company-takes-license-to-produce-largest-gold-and-silver-reserve-in-ethiopia/ As a result more than 1600 Oromo families from Western Oromia (West Wallaggaa) are being dispossessed and evicted from their ancestral land. Posted by OromianEconomist in Afar, Africa, Ethiopia's Colonizing Structure and the Development Problems of People of Oromia, Ethnic Cleansing, Free development vs authoritarian model, Gambella, H & M, Land and Water Grabs in Oromia, Ogaden, Omo, Omo Valley, Sidama, Southern Ethiopia and the Omo Valley, UK Aid Should Respect Rights, World Bank. Posted by OromianEconomist in Access to water, Africa, African Poor, Water Grabs. Kenyans near world’s largest desert lake predict conflict, hunger and cultural devastation when hydroelectric project is completed. The Turkana are traditionally nomadic pastoralists, but they have seen the pasture that they need to feed their herds suffer from recurring droughts and many have turned to fishing. However, Lake Turkana is overfished, and scarcity of food and pastureland is fuelling long-standing conflict with Ethiopian indigenous Dhaasanac, who have seen grazing grounds squeezed by large-scale government agricultural schemes in southern Ethiopia. Locals fear the completion of the Gibe III dam could exacerbate tension in the region between Kenyans and Ethiopians. The government says the Gibe III dam will boost development, give access to power for many Ethiopians — about half of the population — currently living without it. But critics say Ethiopia must also consider the environmental and social impact it will have on some 500,000 people living downstream and at Lake Turkana in neighbouring Kenya, who rely on the river for their livelihood. Children sitting on the Omo River bank which is slightly cracked due to the lowering of water level. Gibe III Dam, Africa’s Tallest Dam with installed capacity of 1870 MW which is under construction, is said to impact 500,000 Ethiopians and Kenyans relying their lives on Omo River and Lake Turkana. The lowering of water level and the change of water salinity may especially impact aboriginal tribes who already live in severe drought and poverty, and may end the fragile peace between tribes. Posted by OromianEconomist in Africa, African Poor, Amnesty International's Report: Because I Am Oromo, Colonizing Structure, Corruption in Africa, Ethiopia's Colonizing Structure and the Development Problems of People of Oromia, Afar, Ogaden, Sidama, Southern Ethiopia and the Omo Valley, Ethnic Cleansing, Gambella, Genocidal Master plan of Ethiopia, Land Grabs in Africa, Land Grabs in Oromia, Oromia, Uncategorized. Posted by OromianEconomist in Aannolee and Calanqo, Africa, African Poor, Aid to Africa, Climate Change, Colonizing Structure, Corruption, Culture, Development, Dictatorship, Domestic Workers, Economics, Economics: Development Theory and Policy applications, Environment, Ethnic Cleansing, Finfinnee, Food Production, Gadaa System, Human Rights, Human Traffickings, Humanity and Social Civilization, ICC, Ideas, Janjaweed Style Liyu Police of Ethiopia, Knowledge and the Colonizing Structure., Knowledge and the Colonizing Structure. African Heritage. The Genocide Against Oromo Nation, Land Grabs in Africa, Nubia, Ogaden, Omo, Oromia, Oromo, Oromo Culture, Oromo First, Oromo Identity, Oromo Nation, Oromo Social System, Oromo the Largest Nation of Africa. Human Rights violations and Genocide against the Oromo people in Ethiopia, Oromummaa, Self determination, Sirna Gadaa, Slavery, The Tyranny of Ethiopia, Uncategorized, Youth Unemployment. It is to be recalled that Finfinnee (Addis Ababa) was founded as the present capital city the so called Ethiopian in 1886 by a man called Minilik II. During this time, the area was inhabited by the Oromo people and the area was almost covered with natural forest. Initially the Shawa government made it seat at Ankober. 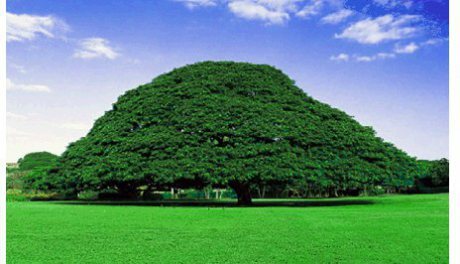 Hence, before the founding of Finfinee as a political and economic capital of the king, all the areas within the present Finfinnee and the surround areas was free like any other Oromia lands. However, after 1886 the Semitic people from the northern segments and others had taken the land and the Oromo people who were used to live in these areas were forced lost their land through time. For example, according to Central Statistics Agency of Ethiopia (2007) Out of the 2,738,248 100% total population living in Finfinnee, the total number of the Oromo people living in the city was only 534,255 (19.51%). Since its founding as a capital, Finfinnee remained the capital city for the successive Ethiopian regimes (Menilik II, Lij Eyassu, Zawuditu, Hailesillasse I, Mengistu, Melles and HaileMariam). Through time, the number of inhabitants increased and urbanization expanded greatly. The deliberate and implicitly planned mission and decision of the Semitic people to erase any sign of Oromo history from Finfinnee was started during the forcefully integration of Oromo people into Ethiopia as second-class citizens and the process has continued in the present government. Different people mostly from the northern part of the so called Ethiopia have come from the various ethnic groups come and settled in the capital owing to its supper suitable agro-climatic and exploit the natural within the outside today’s Finfinne from the near distance in the name of work and investment. Where did those Oromo farmers go when Finfinnee became the property of new invaders? Be in mind that the Oromo’s are pushed to the peripheral areas of the capital and the number of Oromo people inhabitants decreased from time to time, as the above data depicts. The indigenous people of the land were pushed out one after the other and were replaced by the invaders from the north. What is happening to the Oromo people living on the outskirt of Finfinne today? It is simply the continuation of a process, which had resulted in a massive displacement of an indigenous Oromo people. For the last 100 or so years the Master Plan of Finfinnee city was revised several times. The recent proposal of preparing new Master Plan for City administration that planned to incorporates all the towns and districts lying within the range of 1 hour commuting distance from the Finfinnee, justifies the blatant violation of the constitution and their voracious appetite to systematically replacing resource and land deficient people to these fertile lands owned by the Oromo people. According to the proposed plan of established the “Integrated Regional Development Plan”, an additional 36 towns and 17 districts currently administered by the Oromia regional State will be merged with Finfinnee so that the right of the land use will be determined by the central mayor . Some of the Towns are: Adama, Sodere, Mojo, Wenji Adama, Ejere, Alem Tena, Koka, Adulala, Bushoftu, Dukem, Gelen, Akaki Beseka, Godino, Chefe Donsa, Sebeta , Sendafa, Milkewa, Wendoda, Sirti, Duber,Gorfo, Chancho, Mulo, Debra,Muger , Ulo, Adis Alem, Holota, Burayu,Debre Genet, Illu Teji, Tefki, Sebeta, Boneya, Melka Kunture and etc. Some of the Districts areas are: Adama, Dodota, Bora, Lome, Liben chukala, Adea (around Bushoftu), Akaki, Gimbichu, Bereh(around Sebeta), Aleltu, Jida, Sulultu, Ejere, Welmera, Illu, Sebeta Hawas and etc. Today, when the world is concerned about preserving ecology and wild life in their natural habitat, it is an Ethiopian Government that is clearing an indigenous Oromo people from their home Land in the name of inequitable Economic Development. Hence, who should stand and speak for these innocent people and argue to preserve the right of the extremely vulnerable Oromo people living in the proposed territories and to preserve the indigenous Oromo people, culture, Languages and etc. Otherwise sooner than latter these great people will be marginalized and lost their identities. An office called “Addis Ababa and the surrounding Oromia Integrated Development Plan” prepared an International and National Conference on June 2013 at Adama Town, Galma Abba Gadaa. The Objective of organizing the conference of the top ranking government cadres (mostly OPDO’s) was to work on the manifesting of the proposed Integrated Regional Development Plan (IRDP) and prepare the cadre’s to work on the people. These purposes can be the explicit or clear objectives of the plan. However, the plan have hidden or implicit agenda. Systematically bringing the land under their custody so that, it will sooner or later scramble among their impoverished people in their region. For example, the Finfinnee City Administration and Finfinnee Special Zone can address their mutual development challenges without being incorporated into one master plan. However, the Master plan is not prepared on mutual benefit as the plan is solely prepared by Finfinnee City Administration, despite the name of the office. Hence, though development is boldly emphasized, the main purpose seems to clear the Oromo farmers from their lands in the name of unfair Economic Development. However, there seem hidden agenda behind these pillars. For example, in the name of cross-Boundary Investments, local Oromo farmers are going to lose their land for the so-called “investors” and under the pretext of promoting national economy through FDI initiatives In addition, if the plan is going to be realized natural and environmental degradation is inevitable. Nevertheless, the plan will not ensure a mutual benefit at it is largely intended to displace Oromo farmers from their land. In additions, the populations of the two areas are not homogenous. Hence, they have no common interest. Even though it is said the “IRDP’ will be voluntarily accepted by participating partners, the top cadres in Oromia themselves have strongly opposed the plan on the conference. Beside, the implicit objective of the plan is to remove/avoid the differences in language and culture there by to plant “Ethiopianism or Tigreans” on Oromo land. The plan is intended to say good bye to Oromo Culture and language. The other thing is that the differences between Oromo and others cannot be resolved as it is intended to eradicate Oromo identity, culture and language. As we know from history, Oromo’s never compromised on these issues. Hence, if the plan is to be implemented, peaceful co-existence may not be there. 2. Family displacement and disintegration: Members of a family will be displaced and disintegrated as a result of loosing their land. In addition, the workers of Finfinnee special zone will be displaced as they are working in Afan Oromo. 3. Abuse of constitutional rights: After long year of struggle and sacrifice of thousands of Life, Afan Oromo given constitution right to be used in administration, school and other sectors in Oromia region. This is one of the basic objectives that Oromos has been struggling. However, if the master plan is going to be implemented, working language of Finfinnee City, Amharic, is going to be used in the areas. By doing so, the local people will be forced to learn new language to use it for different purpose. The measure will take back Oromo to the “Atse” region. The Federal Constitution states “Every people, nation and nationality have the right to speak, to write and to develop their own language, as well as to express, to develop and to promote their culture and history.Article 39” will be clearly violated. The Oromo living in Finfinnee Special Zone will lose the rights that the FDRE constitution guarantees them. 4. Academic and psychological impacts on Oromo students: If the newly proposed master plan of Finfinnee City is going to be implemented, Oromo students living in the surrounding area will attend their education in Amharic, which is second language to the students. It is strongly argued that using the native languages of students as a medium of instruction is a decisive factor for effective learning However, this situation, failure to give a role to native languages and largely depending on second/foreign language instruction, brought various difficulties to students. The students are expected to entangle not only with learning the subject matters but also the language itself. It also creates difficulty to students in expressing themselves and as a result it limits their classroom participation as there is fear of making mistakes. In addition, it is a barrier to smooth classroom communication. It is also argued that use of a second/foreign language in education negatively affects the ability and the ease with which knowledge is acquired by students. It also affects the performance of students and creates difficulties in developing their cognitive skills. Moreover, giving low status to native languages of students in educational setting leads to marginalization of majority of the citizens from active engagement in the development arena. In general, the master plan will have negative impacts on Oromo students in various academic aspects. 5. Impact on Identity and Culture of Local Oromo People: The new plan will make Oromos to lose their identity and culture, like the previous regimes did. This is because people having different identity and culture are going to settle on Oromo land. The settlers will push out the Oromo identity and replace by their own. The Oromo’s will have very limited opportunity to exercise their cultural value and linguistic form. The language and cultural development will be also hampered by the new plan. 6. Economic impact: If the master plan is going to be realized, the Finfinnee City Adminstration will control all economic aspects of the areas. The income that is collected from different factories will be taken. The Oromiya government will loose great income to Finfinnee city administration. 7. Impact on Natural Resource and Environment: As the result of the plan, there will be overspread ground and surface water pollution. In addition, there will be severe deforestation and natural resource depletion. 8. Cutting Oromia into East and West Regions: The new Master Plan of Finfinne city will cut the current Oromia into two parts i.e. Eastern and Western. This is because the Central and great part of Oromia is proposed to be taken and incorporated into Finfinnee. Hence, the Central part that joins East and West will be taken. As shown above, the master plan is so disadvantage for Oromia. In general, if we see the plan, it will affect local Oromo people in various aspects. However, the government who is supposed to represent the Oromo people is unable to see the danger. So we kindly ask the Oromos at home and Diaspora and other concerned bodies to forward ways and mechanisms to stop the intended plan. We ask the Oromo people and international communities, who will stand for the Oromo’s living around Finfinnee?? If we read an honest history of the present and past Governments of Ethiopia, we would conclude that the present Government is truly facing a difficult dilemma. At the dawn of the 21st century, we can neither run away from ourselves nor hide our realities. We have to face our generation and the historical realities of our time. It is undeniable that today, people demand respect for their human and national rights. Above all, people will not rest until their identity and their sovereignty over what is theirs is ensured. These are the peoples’ most burning issues. They realize that they have to make utmost effort of their own. It is within the context of the above-mentioned framework that the Oromo people resolutely demand their rights and freedom. It is to those who want to deny the rights and freedoms of the people that we are most bitterly opposed. It is a crime to deny the national identity and sovereignty of a people no matter how sophisticated the tactics used to do so. It is equally wrong to see the national desire of a people from a selfish perspective. It is based on the above concepts and precepts that the Oromo people continue their unceasing and bitter struggle against being treated as second class citizens. We know that our struggle is just for it is motivated by our desire to preserve our dignity and identity as a people. We, the sons and daughters of the Oromo people, strenuously oppose the implementation of new Master Plan for Finfinne administration because we fully understand the historical development of the desire of other people to displace the Oromo people in order to benefit the non-Oromo new comers and their lackeys in this country. This highly orchestrated conspiracy, the present Oromo generation shall not tolerate at any cost. It will steadfastly and resolutely resist the conspiracy. We also request international communities to put pressure on FDRE/TPLF Government and Finfinnee City Administration to stop the proposed Master Plan, which directly or indirectly harm the Oromo people. We call on the Federal Government of Ethiopia, House of Peoples’ Representatives, the Federation Council, the Oromia Council to stop clearing Oromo people from their home Land in the name of inequitable Development and replacing others on their land. Please generate comments as many as possible on what should be done about the plan. May Waaq Gurraacha help us! We are always Oromo First!!!! Raya refers a tract of land stretching from Ala wuha in the south to Alaje in the north. That is bigger than Adwa and Axum awrajas combined. Historically, this is where the Weyane rebellion started in 1928 as a spontaneous reaction to a repressive system of the time. Originating in their present day Kobo wereda, the revolt would quickly spread to cover the entire Raya and Wejerat provinces. Later, the inhabitants of Enderta joined the revolt and a sort of quasi-organized alliance was formed after a decade of Raya and Wejerat rebellion. This alliance, Weyane, would emerge so potent that by its heyday it practically liberated the provinces of Raya, Wejerat and Enderta. The imperial government with the support of British Air force resorted to aerial bombardment of the rebel held areas which caused a wide-spread damage, including complete erasure of villages. However, the most detrimental factor that actually caused the demise of Weyane was to come from none other than Adwa people. In 1943, Dejazmach Gebrehiwot Meshesha along with a dozen of Adwans exploited the trust vested on them to assassinate the leaders of the Weyane movement. This is significant for in the Ethiopian tradition, at least until then, if one manages to kill the leader one will win the battle. Meshesha and co. breach of the traditional trust and value was so venomous that even to this date mistrust and resentment runs high in Raya. It is to be noted that if not for Meshesha of Adwa, the people were in a very strong bargaining position and if one has to look how similar revolts in Bale and other regions were resolved, the rebels demand for better governance was within reach. As a thank you for their contribution, Meshesha and his fellow Adwans were rewarded heavily by Haileselasse while a series of punitive attacks continued on the ‘originators’ of Weyane and ultimately Raya was divided between Wollo and Tigray. When the TPLF started the armed insurrection in Ethiopia, it took little time to transform itself as an Adwa-only club by the same inherited act of treachery. The legacy of resentment that Meshesha and co. left means TPLF-Adwa had hard time to set foot in Raya. Hence, they needed to come up with a trick and did it so by cosmetically inserting the word Weyane in the Tigrigna version of its name. Taken with the harsher realities under DERG, Rayans reluctantly sided with TPLF on the principle of the lesser devil. Soon, tens of thousands of Raya youth joined the TPLF, including forming the majority and the backbone of Hadush “Hayelom” Ariaya’s fighting force that brought the little known“Hayelom” into prominence. However, if the experience of my village is anything, it is fair to conclude that almost all the Raya recruits ended up as cannon fodders. Those who survived, especially the independent and rational ones, would have never escaped the Meles-Sebhat death squad. In Raya, for example, it is not uncommon to talk to your relative TPLF fighter over the phone in the morning only to be notified of his death of “natural” consequences on the same day. I will say more on the motives next time. But for now, I want to draw your attention to the following Table, which is taken from the 1994 and 2007 population census of Ethiopia. I think this illustrates how the Raya and Adwa are faring under the TPLF-Adwa administration. Posted by OromianEconomist in Africa, Colonizing Structure, Corruption, Culture, Development, Dictatorship, Knowledge and the Colonizing Structure., Knowledge and the Colonizing Structure. Africa Heritage. 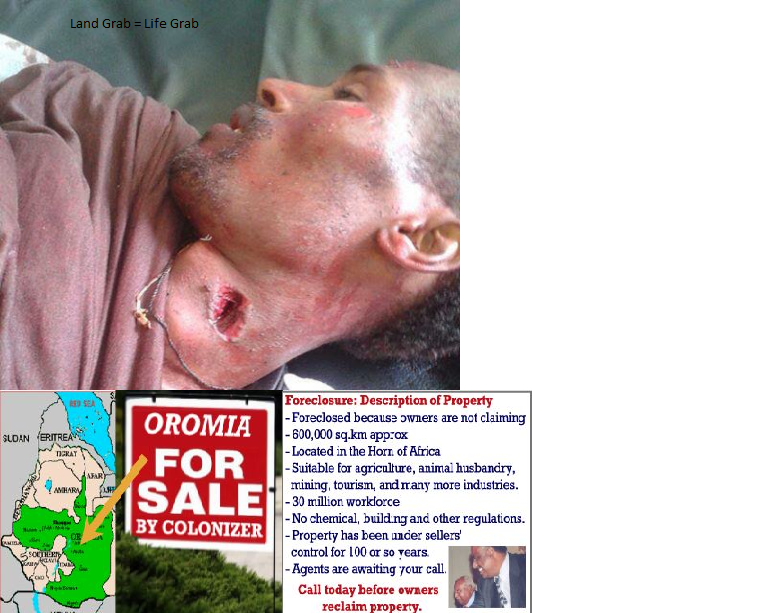 The Genocide Against Oromo Nation, Land Grabs in Africa, Oromia, Oromiyaa, Oromo, Oromo the Largest Nation of Africa. Human Rights violations and Genocide against the Oromo people in Ethiopia, Oromummaa, Self determination, The Colonizing Structure & The Development Problems of Oromia, Theory of Development, Tyranny. OMO VALLEY, Ethiopia, Nov 11 2013 (IPS) – As the construction of a major transmission line to export electricity generated from one of Ethiopia’s major hydropower projects gets underway, there are growing concerns that pastoralist communities living in the region are under threat. The Gibe III dam, which will generate 1,800 megawatts (MW), is being built in southeast Ethiopia on the Omo River at a cost of 1.7 billion dollars. It is expected to earn the government over 400 million dollars annually from power exports. On completion in 2015 it will be the world’s fourth-largest dam. But the dam is expected to debilitate the lives and livelihoods of hundreds of thousands of indigenous communities in Ethiopia’s Lower Omo Valley and those living around Kenya’s Lake Turkana who depend on the Omo River. The Bodi, Daasanach, Kara, Mursi, Kwegu and Nyangatom ethnic communities who live along the Omo River depend on its annual flooding to practice flood-retreat cultivation for their survival and livelihoods. But the semi-nomadic Mursi ethnic community are being resettled as part of the Ethiopian government’s villagisation programme to make room for a large sugar plantation, which will turn roaming pastoralists into sedentary farmers. The hundreds of kilometres of irrigation canals currently being dug to divert the Omo River’s waters to feed these large plantations will make it impossible for the indigenous communities to live as they have always done. “We are being told that our land is private property. We are very worried about our survival as we are being forced to move where there is no water, grass or crops,” a Mursi community member told IPS. The Omo Valley is set to become a powerhouse of large commercial farming irrigated by the Gibe III dam. To date 445,000 hectares have been allocated to Malaysian, Indian and other foreign companies to grow sugar, biofuels, cereals and other crops. “The Gibe III will worsen poverty for the most vulnerable. The government already has trouble managing hunger and poverty [among] its citizenry. By taking over land and water resources in the Omo Valley, it is creating a new class of ‘internal refugees’ who will no longer be self-sufficient,” Lori Pottinger from environmental NGO International Rivers told IPS. Top global financiers, including the World Bank and the African Development Bank (AfDB), have committed 1.2 billion dollars to a 1,070 km high-voltage line that will run from Wolayta-Sodo in Ethiopia to Suswa, 100 km northwest of the Kenyan capital, Nairobi. The transmission line, powered by Ethiopia’s Gibe III, will connect the country’s electrical grid with Kenya and will have a capacity to carry 2,000 MW between the two countries. According to the AfDB, it will promote renewable power generation, regional cooperation, and will ensure access to reliable and affordable energy to around 870,000 households by 2018. According to Prime Minister Hailemariam Desalegn, Ethiopia’s economy is set to maintain a growth rate of 11 percent in 2014. Fully exploiting its massive water resources to generate a hydropower potential of up to 45,000 MW in order to sell surplus electricity to its neighbours is central to Ethiopia’s Growth and Transformation plan, a five-year plan to develop the country’s economy. The Horn of Africa nation currently generates 2,000 MW from six hydroelectric dams and invests more of its resources in hydropower than any other country in Africa – one third of its total GNP of about 77 billion dollars. According to a World Bank report published in 2010, only 17 percent of Ethiopia’s 84.7 million people had access to electricity at the time of the report. By 2018, 100 percent of the population will have access to power, according to state power provider Ethiopian Electric Power Corporation (EEPCO). “We are helping mitigate climate risk of fossil fuel consumption and also reduce rampant deforestation rates in Ethiopia. Hydropower will benefit our development,” Miheret Debebe, chief executive officer of EEPCO, told IPS. The Ethiopian government insists that the welfare of pastoralist communities being resettled is a priority and that they will benefit from developments in the Omo Valley. “We are working hard to safeguard them and help them to adapt to the changing conditions,” government spokesperson Shimeles Kemal told IPS. However, there are concerns that ethnic groups like the Mursi are not being consulted about their changing future. “If we resist resettlement we will be arrested,” a Mursi elder told IPS. The importance of ensuring that benefits from Ethiopia’s national development projects do not come at a price of endangering the lives of hundreds of thousands pastoralist tribes is critical said Ben Braga, president of the World Water Council. Braga decried governments that failed to compensate communities like the Mursi as displacement of surrounding communities is always an inevitable consequence of major dams that need plenty of advanced planning to avoid emergencies. “How can we compensate these people so that the majority of the country can benefit from electricity? There is a need for better compensatory mechanisms to ensure that benefits are shared and that all stakeholders are included in consultations prior to construction,” he told IPS.